I think the dilemma for a lot of veterinarians is the healthy pet,” said Steven Marks, BVSc, MS, MRCVS, Dipl. ACVIM, but he wasn’t trying to be humorous in his assessment. Dr. Marks, clinical professor of critical care and internal medicine, and associate dean and director of veterinary medical services at North Carolina State University Veterinary Hospital, was speaking about the problem posed by apparently healthy senior pets when they are brought into a clinic or hospital. Despite the heightened awareness about senior pet needs, these animals can still fall through the clinical cracks. “A healthy pet burns us,” Marks said, explaining that a senior pet coming into a clinic without any clear signs often does not get diagnosed early enough to eliminate or delay a disease. A great deal of important information for an early diagnosis can be gathered just by talking to pet owners, Marks said. Posing the question “Has anything changed?” is a great way to probe an owner for potential underlying problems in a pet; changes may indicate issues that are “just a little bit below the radar,” he said. Many behavioral changes lie just below the radar, and those are important indicators veterinarians need to know, according to Gary Landsberg, DVM, a veterinary behaviorist at the North Toronto Veterinary Behaviour Specialty Clinic. “One of the most important things we need to do is ask behavioral questions at every visit,” Dr. Landsberg said. Behavioral changes could be the only early signs of organ failure, cognitive dysfunction, pain and arthritis or sensory loss in a pet. “There could be a decline in activity or at the other extreme repetitive pacing aimless activity,” Landsberg said. He advises asking owners questions about altered social patterns—if a pet is more clingy and following than usual, or more aloof and less interested in social interaction, or more fearful or anxious. It’s important to remember to distinguish how a pet behaves in the clinic and how a pet is at home, said Heather B. Loenser, DVM, veterinary advisor in public and professional affairs for AAHA. By asking these questions, veterinarians can quickly evaluate whether they should be focusing on screening for arthritis, cognitive dysfunction, visual impairments, dental disease and organ dysfunction, she said. Veterinarians should follow AAHA’s “Senior Care Guidelines for Dogs and Cats” as well as the organization’s “Canine Life Stage Guidelines” and “Feline Life Stage Guidelines,” and perform a minimum laboratory database that is more extensive than that for a younger pet in the hopes of detecting disease as early as possible, Loenser said. What defines a pet as senior? Determining just when an animal should be considered a senior pet is crucial—though not always clear, Marks said. 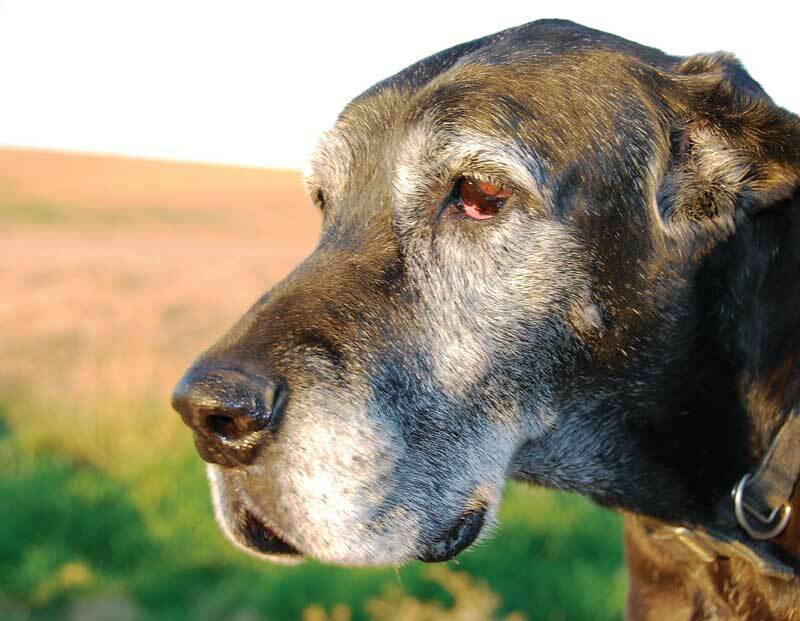 Once that determination is made, veterinarian and staff must decide whether an incoming patient is a healthy senior presenting for routine evaluation or a sick senior. “If the senior is sick, things change dramatically because you’re looking for disease,” Marks said. When presented with a healthy senior pet, consider a conversation about screening and how much the pet’s owners are willing to invest in that older dog, he said. The bottom line is that senior pets should not be treated like younger pets when they come in to the clinic, said Mary Gardner, DVM, co-founder of Lap of Love Veterinary Hospice in Orange County, Calif. Extend that elevated level of care to pet owners—the people who daily face the reality that a beloved family member’s life is winding down. She believes it’s vital to learn about a pet’s lifestyle, the family dynamics, what symptoms are of most concern to the family and to remember that changes happen quickly in the older population, so keeping in touch with these families is important. Discussions also should incorporate education about topics including common age-related symptoms as well as determining and addressing a family’s priorities. Supplement the education process with informational and marketing materials that outline common problems in aging pets; this demonstrates that a clinic understands the ailments of aging and how they differ from younger pets, Gardner said. Also urge owners of aging pets to bring them into the clinic more often. Recruit owners as ad hoc diagnostic assistants. Further, he also encourages owners to take photos or video to share. Another expert who believes in involving pet owners in the diagnostic process is Carlo Siracusa, DVM, MS, Ph.D., Dipl. ACVB, Dipl. ECAWBM, clinical assistant professor of animal behavior and director of Animal Behavior Service at Matthew J. Ryan Veterinary Hospital School of Veterinary Medicine at the University of Pennsylvania. Pet owners should watch for changes in posture, mobility and eating habits, said Dr. Siracusa. It’s also a good idea to suggest to senior pet owners to consider adapting the home environment to suit a geriatric animal’s needs, he added. Advise owners to provide a safe and quiet haven where an older pet can rest undisturbed. Children in the home also should know how to handle the pet gently and allow it space. Practitioners also should consider the psychology of the pet owner, said Loenser. “Owners can be reluctant to bring their older pets to the veterinary hospital in fear that they will hear bad news about their pet’s health,” Loenser said. “After spending 10 years as an emergency clinician, I’ve learned that there is a balancing act between alarming an owner about potential diseases lurking around every corner and empowering them with ways to keep their pet as healthy as possible for as long as possible. “Veterinarians should emphasize the importance of semi-annual physical examinations to detect and manage diseases associated with aging,” she added. Establish best practices for senior pets in the clinic that can ensure safer and happier visits, said Gardner of Lap of Love. Place bath mats in exam rooms for better footing, use Fear-Free techniques, handle senior pets delicately, and send them home as soon as possible. Siracusa said practitioners and staff also should carefully observe the behavior of senior pets during appointments to detect signs of poor medical or behavioral health, such as a change in an animal’s gait or posture that may be indicative of chronic pain. Guidelines as outlined by the American Animal Hospital Association’s “Senior Care Guidelines for Dogs and Cats” advise veterinarians to observe a pet prior to handling, while it’s in an open carrier or on the floor, and performing a complete physical examination with special attention to the areas of increasing concern in the senior pet.